In our previous blog about Shawu we mentioned how attached he was to his ‘comfort blanket’. However, now that he continues to grow stronger this is no longer the case. Shawu is still on milk formula and drinks 2.5 litres every 3 hours. His uncontainable excitement can be seen whenever it’s feeding time, and he sees the curators approaching with his milk. 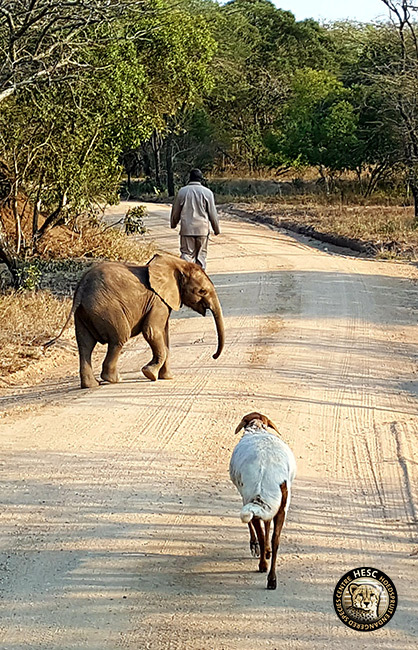 He comes running out from the bush to greet them with his eyes firmly on the bottle they are carrying. 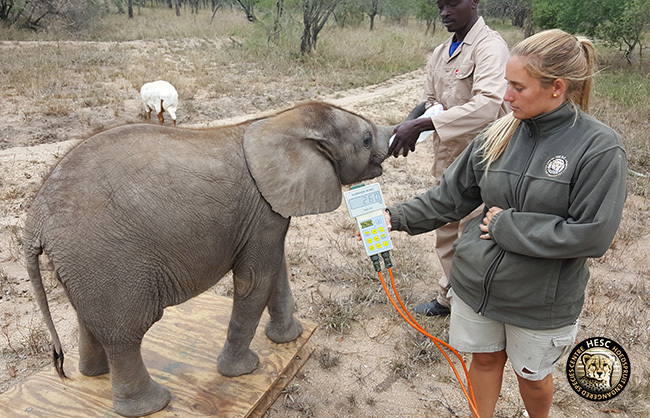 This little one now weighs a hefty 260 kg – a whopping 159 kg more than what he weighed when he first arrived. The ever-sweet mother sheep, Lammie, still keeps him company; with his keeper watching over them. Shawu enjoys wallowing in a mud bath, which helps to protect his skin from the harsh African sun, as well as keep away irritating insects. Watch this clip to see Shawu cool himself from the heat. Shawu’s keeper ensures that he stays fit by taking him on leisurely walks during the day. Some of the guests to the centre have been fortunate to see Shawu during the daily tours. 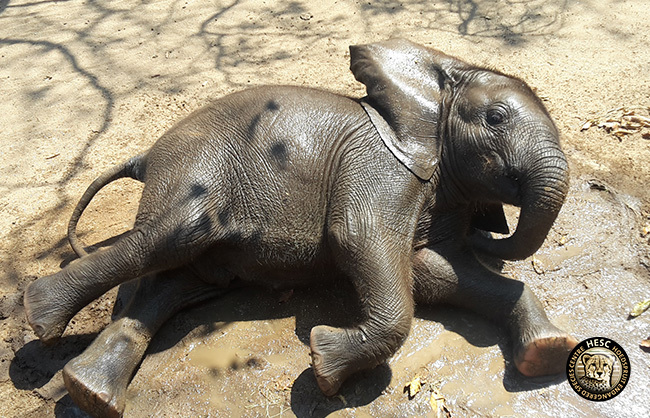 We are grateful to everyone who plays a role in helping us with the upkeep of this baby elephant. We can never thank you enough. Congratulations to the Hesc team… and thanks to Lammie too !